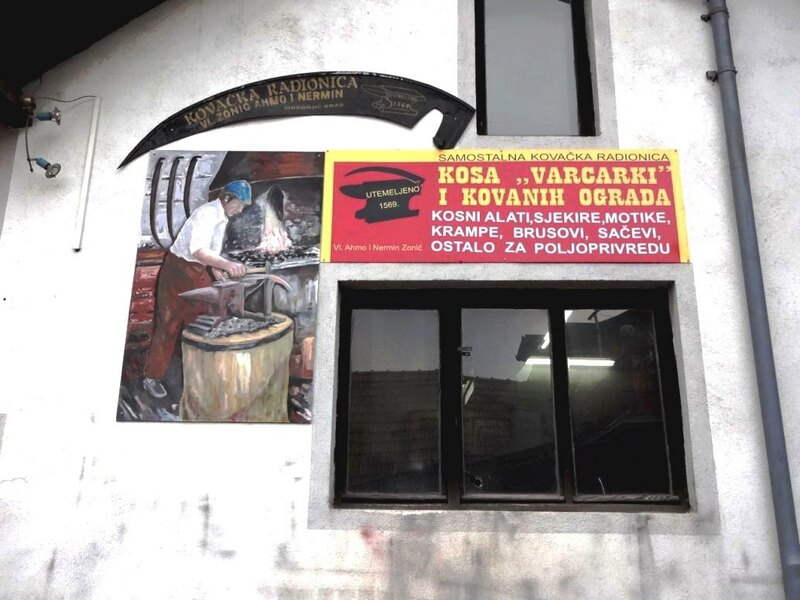 Note: Back in December I posted a link to a Serbian television program about a present-day blacksmith who is renowned for his scythe blades (the link was added to the post "Forge Your Own Scythe Blade" in the comments). Since then, I've found the same video on YouTube, as well as a related video and some more information that appears below. Direct link to YouTube video here. Alternate YouTube video (with full introduction for TV show) here. Original link to Serbian TV show here. The heat treatment of the blade is particularly interesting, and begins at approximately 10:30. After quenching in what looks like used motor oil (? ), the blade is cleaned and then appears to be tempered progressively along its length over hot coals. Ahmo Zonić's son Nermin regulates the blade's temperature during this part of the tempering process by blowing air on it from a metal tube he holds in his mouth. The tempering process is claimed to be a secret that is passed down from father to son, and the heat treatment supposedly involves clay (? ), wax, oil, badger and bear fat, and secret ingredients. The resulting scythe blades are said to be unbreakable. This blacksmith shop has a history dating back to the 16th century, according to documents found in their attic. Ahmo Zonić learned his trade from his father, and is passing it down to his son. 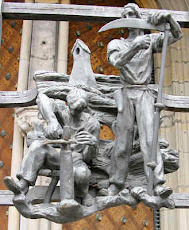 They produce up to 150 scythe blades per year, in addition to other tools and wrought iron fences.